On the surface there are a lot of similarities between gig-economy companies like Uber and AirBnB and the future of 3D printing. The technology will soon offer people the ability to manufacture a wide variety of products in their own homes, but it will also, basically, transform consumer product companies into software companies. As we are seeing now with Uber and AirBnB, that is going to completely alter the legal responsibilities that these new “software companies” will be required to bear, and it will potentially shift them onto the consumer themselves. 3D printing may alter the way that we buy and use products in some new and exciting ways, but it is also going to dramatically alter the actual role of the consumer, and the responsibilities that they will have by participating in what I’m calling a ‘gig-manufacturing’ economy. In his book 3D Printing Will Rock the World, author and IP lawyer John Hornick lists just some of the industries that will be completely upended by the advancement of 3D printing technology, and how it’s going to alter all of the industries that serve them. Like knocking down the first of a line of dominos, if one industry is radically transformed then it is going to affect another, and another and so on. While Hornick’s (excellent) book is generally a celebration of the disruptive effect of 3D printing, it is also a sober examination of the unexpected consequences of that disruption — especially in regards to how it’s going to alter IP law, trademarks, copyrights and the legal ramifications of putting a factory into everyone’s home. He makes the case that, for all of the great and transformative ways that 3D printing will affect the world, we also need to be aware of how our current set of laws and regulations are going to very quickly become wildly ineffective and out of date. It really isn’t easy to write about how much the future is going to be shaped by 3D printing, because frankly it can tend to sound like science fiction or hyperbole. Or even worse, it could sound like a bad sales pitch from a 3D printer manufacturer circa 2012. But there is, legitimately, not a single aspect of our modern life that will not be altered by the technology. 3D printing will be just as, if not more, transformative to the world than even the internet. Within my lifetime it is more than likely that most of the products that we consume will one day be manufactured on machines within our homes rather than purchased from a store. Those products that are not manufactured at home will likely be made by third party 3D printing service providers using large-scale industrial 3D printing technology, not the actual company that sold us the product. The dishes that we prepare meals on will be 3D printed, the cars that we drive will be 3D printed, the foods that we consume will be 3D printed, the medications that we take will be 3D printed and it is very likely that even the clothing that we wear will be 3D printed. All of those products are currently manufactured in factories or facilities that are required to meet strict safety and quality standards. They are made using machines that must meet specific operational standards. They are made by people who must meet training and educational standards. And they are made using materials that must meet health and environmental standards. None of these standards are optional, they are all codified by a set of laws that have been built over hundreds of years, and the onus of meeting them is currently placed solely on the manufacturers. That means that if we buy a product and it fails, then we know who needs to pay for a replacement. And even more importantly, if a product fails and someone is hurt because of the failure, then we know who is ultimately responsible for that injury. But the one thing that ties all of these standards, laws and liabilities together is the actual, physical manufacturing of the product that is being purchased. If the action of manufacturing a product is removed from the hands of the company selling the product, then who exactly is going to be held responsible for product failures? Legally speaking, how exactly do you hold a company responsible for a process that they had no part in and no control over? The gig-manufacturing economy turns your home into a factory. We’re seeing the Uber-effect playing out on the news daily, as formerly high-paid professional taxi drivers are losing work to amateurs willing to work for less money because consumers are attracted by the lower cost of Uber rides. We’re seeing homeowners renting out empty properties on AirBnB to out-of-town visitors looking to avoid the high cost of hotels rather than sell or rent their home to other local residents. While it is easy to look at the short-term gains for those drivers or property owners, the long-term effects are potentially disastrous. Professional car services and hotels cost more than an Uber or an AirBnB because they are two industries that are heavily regulated specifically for the protection of consumers. Most of the standards or regulations placed on Uber and AirBnB are typically self-imposed, and vital consumer protections are often disregarded because essentially both companies are “software companies,” not actual service providers. That means that the burden of maintaining the car, the skill of the Uber driver and their honesty and reliability is shifted away from the company making billions and onto the customer and the Uber-driver. That means that residents of working or middle class neighborhoods with typically lower property values are finding themselves priced out of their own communities by landowners and corporations buying up cheap property with the intention of renting them out to AirBnB users at highly lucrative rates. The gig economy is being sold as a boon to the individual and the consumer alike, but in the long term it’s really only benefiting the “software companies” that are driving it. There are going to be similar effects created by the new ‘gig-manufacturing’ industry that will be enabled by the wide adoption of 3D printing technology. How can the manufacturing of a product be regulated when it will ultimately be radically different than the way things have always been? If a 3D printed product fails, where will the blame for that failure be placed? Was it the actual design of the product that was at fault, perhaps the materials used were faulty, or maybe the consumer themselves 3D printed the product incorrectly? 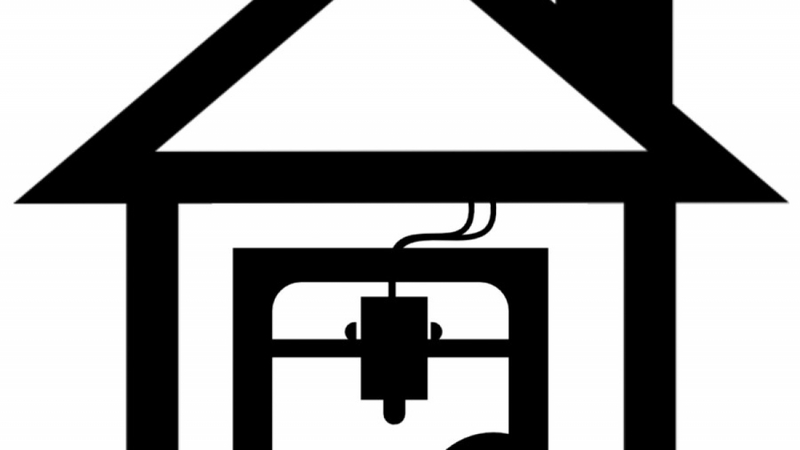 Currently there are little to no industry standards in place for 3D printing materials or 3D printer hardware, nor are there legally required certifications needed to operate them. Primarily this is because the whole process is completely new and no one really knows who ultimately should be responsible for them. How will the manufacturing of this 3D printed cup be regulated? Let’s say that you use your home 3D printer to make a travel cup, but while standing on the bus using your new 3D printed cup, the lid fails and sends hot liquid all over the person standing in front of you. Who is responsible for the injuries of the person standing in front of you? You are, technically, the manufacturer because you printed it out at home. But the lid that failed was designed by the “software company” that sold you the 3D printable model of the cup. And the plastic material that was used to 3D print the lid that failed was made by another company. And the 3D printer that you used to print out the lid that failed was built by yet another company. I’m speaking in broad strokes here, but traditionally the company would ultimately be at fault for the failure because it would be their responsibility to verify that the lid design won’t result in a product failure. It would be their responsibility to make sure that the materials used to make the lid won’t result in a product failure. And that the machinery used to make the lid is functioning properly and won’t result in a product failure. But remember, now you’re the actual factory, sourcing your own materials and using your own 3D printer. So ultimately you’ll be to blame for the product failure, despite not even understanding how you could have prevented it from failing. That’s what happens when you take one piece out of an existing production chain and rearrange everything, and unless we start addressing the issue now, that is going to be our future as consumers. Call me cynical, but I really doubt that the companies who sell us these digital products will still behave as if product and material safety is their responsibility. Remember, those companies are now just software companies, and they are simply selling their customers a digital file. What those consumers do with that file or how it’s ultimately manufactured will be completely out of their hands. So the question remains, legally speaking, exactly whose hands will that responsibility end up in?